Il Best Western Heritage Inn - Chico è situato nel centro di Chico. L'hotel è vicino alle principali attrazioni turistiche. Approfittate tutto l'anno del miglior prezzo garantito e di offerte esclusive. Vivi le migliori attrazioni di Chico, California, tra cui la Cal State University Chico, il Silver Dollar Speedway e Bidwell Park, in questo hotel in cui sono ammessi anche gli animali domestici. Situato nella Sacramento Valley nella parte settentrionale della California, il Best Western® Heritage Inn - Chico si trova al centro di tutto quanto. Trovandosi a meno di otto chilometri circa dalle maggiori attrazioni locali, tra cui il centro storico di Chico, l'autodromo Silver Dollar e Bidwell Park, e vicino a eccellenti campi da golf e a un paio di centri commerciali con numerosi negozi e ristoranti, ai turisti e ai viaggiatori d'affari non mancheranno luoghi da scoprire. Ad appena pochi chilometri di strada, gli ospiti potranno scoprire la celebre zona vinicola di Sonoma, il ponte coperto Honey Run Covered Bridge e il tranquillo lago Oroville. Anche i grandi eventi attraggono ospiti in questo hotel nell'area di Chico, tra questi, l'annuale Northern California Sprint Car Race Finals, il Chico Velo Wildflower Century Ride ed eventi sportivi per tutto l'anno nei vicini Cal State University - Chico e Butte College. Le Silver Dollar Fairgrounds nella Sacramento Valley sono sede di numerosi di eventi tra cui fiere, concerti ed emozionanti gare motoristiche. Dopo una giornata di turismo, niente rende migliore il tuo soggiorno più di una sistemazione confortevole e servizi premurosi. Il Best Western Heritage Inn - Chico dispone di 99 camere arredate con gusto e dotate di televisione via cavo/satellite, accesso a Internet ad alta velocità e colazione continentale deluxe gratuita ogni mattina. I viaggiatori d'affari potranno apprezzare anche i servizi business dell'hotel e le strutture meeting che possono ospitare fino a 40 persone. Qualunque sia ilmotivo della tua visita, concediti una nuotata nella nostra rilassante piscina all'aperto per godere dello splendido clima della California. Sfrutta al massimo il tuo prossimo viaggio a Chico, California - prenota oggi stesso e risparmia al Best Western Heritage Inn! In questo hotel, l'età minima richiesta per effettuare il check-in è 21 anni. Gli ospiti che viaggiano con animali domestici devono prenotare la camera con due letti queen size in cui sono ammessi gli animali domestici. La tariffa per gli animali domestici è di $30,00 a soggiorno. Ti auguriamo un soggiorno gradevole! I was displaced due to the Camp Fire in California and stayed at the Best Western for 81 of those days. Everybody from the front desk to housekeeping and maintenance were friendly and helpful. The staff went out of their way to make sure that everybody there that was displaced were taken care of. If you're in Chico, Best Western is a great place to stay. I stayed in room 119, Awesome staff, Very Clean recently remodeled. Big breakfast, a lot of variety not the same every day. Good parking. Also locate next to Trader Joe's, Sportsman's,CVS, coffee shop and a lot of other convenient shops. "Comfortable stay and friendly staff"
Comfortable stay and friendly staff. The rooms are big and comfortable and quiet. There are many options for breakfast. The staff is friendly and addressed you by name. I appreciate the Chico parent discount too! "Clean rooms, a tad noisy"
We were in Chico for a rugby game and many of our players stayed at this hotel. The staff was incredibly friendly and helpful. I can't vouch for the odd number side of the building, but I'd give that a try over the even. We were on the second floor and the noise from the freeway made it hard to sleep. I didn't look out the window until morning when I took this photo of the semi passing by. We woke up to leaf blowers at 7 am on Sunday morning! Who does that on a Sunday for goodness sake? So that was another bone of contention as it was actually worse than the freeway noise and went on for a couple of hours it seemed. The rooms were clean and comfortable, but when we made our reservation, we spoke to someone at the hotel. We specifically asked for one large bed and got two small. They must have been full over queen as I could stretch my body over the edges of each side. A little frustrating since we confirmed with a human and not a website. The bed is a bit small for two average sized humans. Finally, if you want scrambled eggs, go early. They ran out before 9:30 and when asked said they wouldn't make anymore. Breakfast was decent. The bacon was limp, but biscuits and gravy were a nice touch. There was plenty of beverage options, cereal, and waffles, bagels, etc. We just missed the eggs. All in all, I would definitely stay there again but would try the other side of the hotel. One great thing about the room is the blinds are marvelous and let very little light in. If you need darkness to sleep, you are well covered. A small dingy poorly lit musty room greeted me at the end of a long day helping my cousin replace her lost furniture from the Camp Fire. I wasn't expecting nice rooms since the good hotels were taken from all of the evacuees. Still this one was worse than I expected. There was a giant red stain on the carpet next to the bed. The shower head was crusted with hard water deposits. There are no outlets next to the bed so you can't plug your phone in and have it within reaching distance from the bed. The room would be a lot better with improved lighting. Best Western upgraded our room to a family suite so we were quite surprised.The room was clean and spacious and the beds very comfortable, Everything was in working order and there was a large TV. The breakfast was delicious with a great selection. Check in and check out was quick. Our son lives in Chico and we stay at the Best Western every time we visit. The staff, rooms, breakfast, lobby, pool, and hot tub are all superb. We have no complaints about this Best Western and highly recommend it! "POOR SERVICE IN CHICO CA"
Room was dirty after being shifted to two rooms. Dirty laundry on room floor. Dirty lobby. Breakfast needs more variety. Food was bland. Good point was the hotel is close to the freeway but the entry is tricky. "Best hotel in Chico - not"
Was pleasantly surprised by this hotel. Got excellent price on Best Western website. Have stayed in numerous hotels in Chico while my son attended college over the last few years. Wish I had know about Best Western years ago. Room was very nice and updated, and good size. Had blackout curtains, allowing us to sleep in until 10am. This is a no smoking hotel which is great, a definite big plus. Breakfast was good too. Limited exposure to staff was very positive. Stayed here while on college visits with my daughter, it is a bit tricky to find, but once you do,it is really conveniently located. Rooms are spacious, interior corridors, have a fridge, and very comfortable. Breakfast is better than most for these kinds of hotels. I would definitely stay here again. We came (back) to Chico for a HS reunion (55th) and stayed here for one night. The entire facility was booked - several other events in town the same weekend. Our room was on the first floor - quiet and reasonable. We asked for a couple of extra pillows, none were available. Getting to the hotel is a little tricky - having to drive through a parking lot, not the hotel's fault. We will probably stay here again in the future. Comfortable big rooms and comfortable beds. The front desk and breakfast staff were very friendly. Kellie was super helpful in helping me to add an additional night to me trip. Tbe jazucci felt quite nice. "Never get a connecting room"
I had an issue this time with guests next door. I was awoken by people running through the hallway on 3rd floor at 11:45pm. I looked out my peep hole and first saw a man and woman talking very loudly then the man was just sitting out in the hallway so I did call the front desk. He was checking someone in. Called back at 12:15 and said no longer in hallway but really loud next door. There was a connecting door which I felt made it worse. I was told it was a full house and there wasn't anything he could do unless they could be heard from the hallway. At 1am I just walked down to the front desk and said I couldn't sleep and they were too loud and I could hear every word. Employee did go up with me and he did knock on their door and told them there had been noise complaints and if they didn't want to lose their room they needed to quiet down. I didn't hear a peep from them after that. Room with connecting door was horrible. Dear Shantala, Thank you for taking the time to review your recent stay at the Best Western Heritage Inn Chico. On behalf of myself and my entire team I would like to apologize for not meeting you expectations. Unfortunately we don't always get the most considerate guests. I am so sorry that it took the staff a little bit of time to get the issue resolved and your sleep was disturbed. I have used this situation as a training tool for the staff on how to better the handle this situation should it happen again. I would like to apologize again and hope that you will give us another try the next time you are in the chico area. Thanks again for staying with us! "Good place to stay in Chico"
Our Check-in and Check-out was very quick and easy. The room was clean and comfortable. The breakfast was well stocked with a variety of food options such as waffles, eggs, sausage, hash browns, cereal, toast/bagels, fruit... The staff is very friendly and helpful. Over all, it was a nice and easy stay. 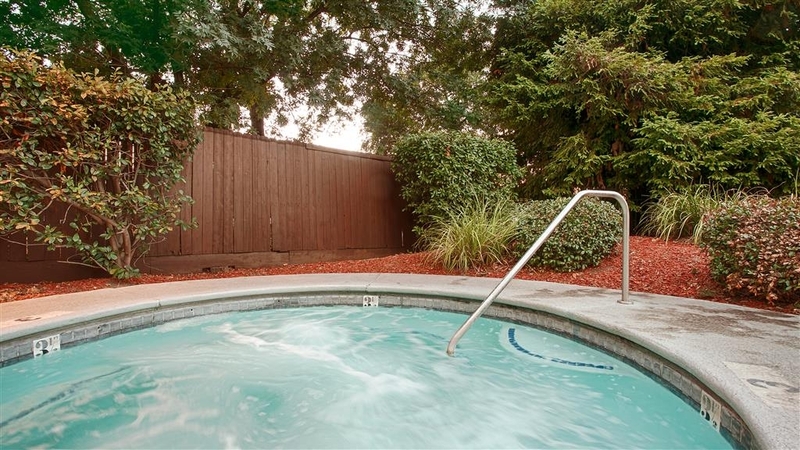 The Best Western is conveniently located close to shopping and CSU Chico. We had a huge room with two king size beds to accommodate my two teenage boys. Front desk staff was very friendly and helpful. Morning/ breakfast staff went out of their way to make sure we felt cared for. We stayed here for three nights. the room was spacious and the staff was friendly. They have cookies in the lobby :-) everything was clean. My only complaint would be those walls or a little bit thin. We didn't participate in the free breakfast but noticed the area was clean. There was one day that our room wasn't cleaned but we were in it when the housekeeper came and she never came back. Dear di0nec, Thank you for taking the time to review your recent stay at the Best Western Heritage Inn Chico! We are so happy to hear that you enjoyed your stay and our cookies! We bake them fresh everyday! We can't wait to see you again the next time you are in the area. Thanks again!!! "Great Hotel to Visit Your Student"
I use this hotel every time I visit my Chico State student. Close to the university, updated property, comfortable accommodations, a great night's sleep, great breakfast, and friendly staff. The price is affordable, too! I recently stayed at the Best Western Heritage Inn in Chico for a business trip. It was clean, had computer access and a simple breakfast that was included..I was pleased with the facility and the staff were wonderful. I will be back. "Disappointed... and I'm usually not picky "
I got this room on a deal with Priceline. I've had decent luck in the past and I'm on a budget. We stayed here for my daughters move in. I was so disappointed. We checked in late, so perhaps all the good rooms were taken? I read some reviews and this can't be the same place. Room 117, smelled like smoke (with a big no -smoking sign), dirty floors, dirty furniture, out dated, tv did not work. I'm going to complain to Priceline. The best part about it was the nice kid who checked us in. We also went for a swim in the pool, it was clean, but no towels. The hot/cold water didn't work right in the shower. I will never stay here again. Sad since my daughter is a freshman and we have a lot of visits coming up! Great value, excellent staff! Enjoy breakfast being included, clean rooms, friendly, helpful staff. Felt like their was a genuine concern for me and a desire to acvomidate my needs from the front desk yo house keeoing! Dear r11812213, Thank you for taking the time to review your recent stay at the Best Western Heritage Inn Chico. We are so happy to hear that you had an awesome stay! The staff works really hard to make sure that every guest has an awesome stay. We hope to see you again the next time you are in the chico area. This quiet hotel is about a 5 minute drive to Enloe hospital and downtown Chico.It is not far off of Hwy 99, but the road noise was not a problem in the room we stayed in.It was comfortable and the staff was friendly and helpful.The breakfast was varied, well presented and plentiful.We felt the price was reasonable for the service, condition and location of this hotel.We would stay here again and recommend it as well. Dear Denise, Thank you for taking the time to review your recent stay at the Best Western Heritage Inn Chico. I am so please to hear that you enjoyed your stay. i am so happy to see that the highway noise wasn't an issue for you and that the breakfast met your expectations.We hope to see you again the next time you are in the Chico area. "This is 1 of the good ones." Everything about this BW is better then the others, The rooms are nice, Cleaned very well daily, You know how some of them always miss something cleaning, not this one. And the breakfast are so much better then other BW's I've been, They really go the extra mile here. I stayed August 2-3 and have to say that although I normally stay with a different hotel chain, I'm incredibly happy I stayed here. Each desk clerk that I dealt with was very professional and friendly, the room was very clean, spacious and updated. I will definitely stay at this hotel again over the brand that I normally stay with. "Great breakfast and spacious rooms!" My husband, two daughters and I stayed here for one night. The staff is super helpful and kind. We liked that rooms were so spacious and in the heat of July we were able to cool the room to 68 all night! What a treat! The breakfast in the morning was incredible, waffles, eggs, sausage and much more! My baby had me up at 5am and Denah the breakfast worker was so accommodating. She saw my hands were busy with my baby so she served my 8 year old a waffle, juice, whatever she wanted. She was above and beyond with her help and service. The only reason I didn't give this place 5 stars is because of the location. "Best hotel in Chico for the price"
I always try to stay at the Best Western when I am in Chico visiting family. I've stayed at most of the hotels in town and BW has the most consistent service, plentiful complimentary breakfast, clean rooms and comfortable beds. On my last stay, I had my 90 year old mother traveling with me. As you can imagine, this can be a real challenge. The staff went out of their way to accommodate her myriad needs from extra blankets to a railing for the bed, they made her feel so at home. One employee even washed my SUV as I was checking out, when he saw me trying to clean the windows with a rag and bottled water! Such a great and caring staff. I highly recommend this hotel. Dear Kellycmann Thank you for leaving such a nice review. We are glad that you and family loved our services, our dedicated staff will be pleased to learn of your high praise. They work very diligently and it will provide them with great encouragement to keep doing what they are doing. Next time you or your friends want to visit us, please give us a call in advance and we will provide you with the best possible deals and options that you will not find online. Thank you, once again, for your kind words. "Good for a night or two"
Good breakfast and excellent WIFI make this a place for a night or two in Chico. The outdoor pool is shaded in the afternoon. Ample parking and walking distance to a movie theater, a few fast food places and a two mid-priced restaurants. 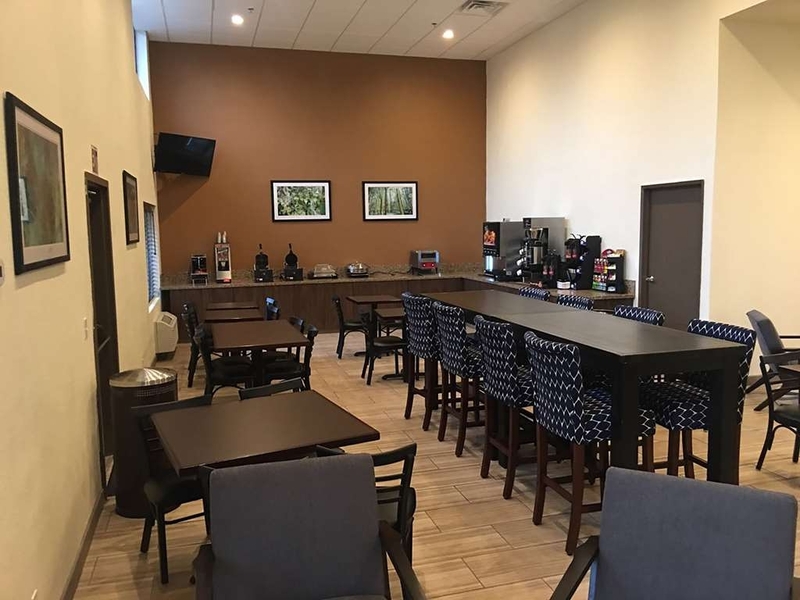 While the hotel is located with easy access to the freeway, getting in/out of the hotel can be a bit tricky as the hotel entrance is on a busy street and not at the street address of the hotel. Our GPS took us too the street address which turned out to be a road the was accessed from a mall parking lot. There needs to be better signage. With warm weather blackout shades are the way to go, luckily this hotel has em keeps your room at a 60 degrees all night long. Nice entrance with great working wifi. D9d not hesitate to stop at a best western where the points count. "It was all in the service"
This was my favorite hotel out of our whole vacation. The room was clean and large. We asked Justin for an upgrade and it was given because of our rewards membership. We just relaxed while there because we'd been traveling all day. The beds were comfortable. We went to the breakfast room and enjoyed a good breakfast. A lady that worked (Dinah?) there gave us two cookies wrapped up for our granddaughters to enjoy later. This hotel was clean, well kept, quiet, great breakfast (they actually changed up the menu for the next day), nice beds and pillows, easy freeway access. I had a satisfactory stay here and highly recommend this hotel. Hi 123richie2018, Thanks for leaving us such a wonderful review. We are glad that you and family loved our services, our dedicated staff will be pleased to learn of your high praise. They work very diligently and it will provide them with great encouragement to keep doing what they are doing. Next time you or your friends want to visit us, please give us a call in advance and we will provide you with the best possible deals and options that you will not find online. Thank you, once again, for your kind words. Nice remodeled property. During this time they increase room rates by 300% PRE-PAID FULL IN ADVANCE. Certainly, they should have chosen an alternative date to replace the entire porte cochere surface and other construction during the busiest time of the year (Chico State Graduation). Did not replace my bed sheets, bath towels, drinking cups nor vacuumed my one room.. Housekeeping totally failed to clean my other room! Dear Lance11, Thank you for your review of your recent stay at the Best Western Heritage Inn Chico. On behalf of myself and my entire team I would like to apologize for not exceeding your expectations. Your feedback is important to me so that we may improve for future guests. I have addressed your housekeeping issues with our head of housekeeping and they will be using your feedback for future training. Again I would like to say I am sorry and we hope that you would give us another try the next time you are in the Chico area. Although very near the freeway, our room was very quiet. The hotel is attractive and clean. The bathroom sink was on a section of the room, which allowed for one of us using the toilet or shower, while others brushed their teeth, etc. On the other hand, the tooth brushing could wake someone who was sleeping. Friendly staff and a free breakfast, which was perfect for our ravenous 16 year-old son. There were little flaws, like peeling paint on a door hinge and a slow-draining tub, but we had two QUEEN size beds, where most hotels have two doubles. That little extra space made a lot of difference and was worth one peeling hinge. "wish it were under better circumstances"
overall excellent service! friendly and wonderful support even Chuck the grounds keeper went out of his way to make sure I was comfortable and had everything I needed! Love this place! It gives me a warm and fuzzy feeling...everyone is so friendly!! Great hotel, traffic noise was a bit much. The hotel is located just off the freeway which is super convenient but also means we heard traffic all night. The workout facility was great, but limited options on equipment. Great staff - smiling, helpful and welcoming. Good breakfast - normal breakfast fare with both hot and cold options. Clean rooms but, water pressure seemed to be a little low. Have stayed at hotl before and sometimes parking could be difficult. Hotel is clean and to some (very important) it is animal friendly. Tucked away behind Kmart, but great service, clean, and kind staff. I never stay anywhere else when I visit my son up in Chico. Son attends Chico State so I'm there pretty often. Rooms are beautiful, breakfast is good. They bake cookies at night for guests which is a nice touch. Overall excellent stay. Enjoyed my stay at the Chico Heritage Hotel. Clean, updated accommodations, friendly staff with value pricing..Nice amenities. 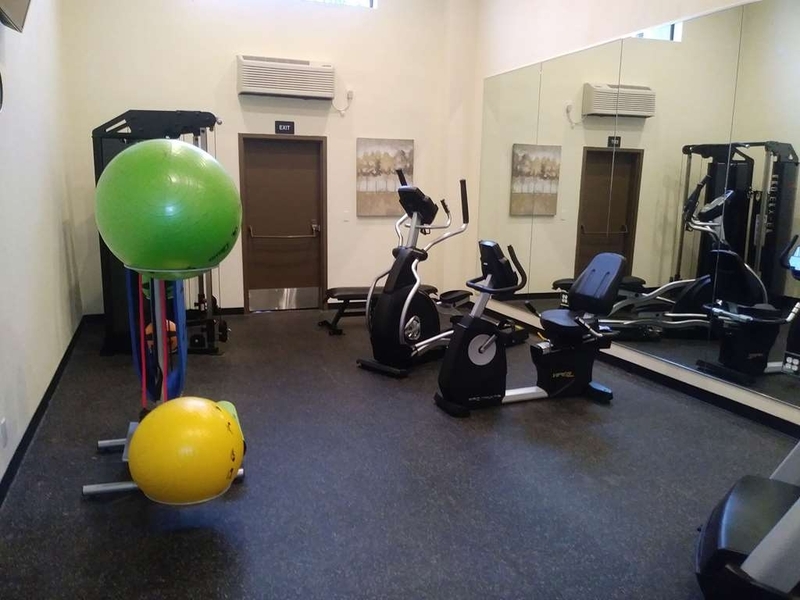 Each day a nice full breakfast, business service and fitness room. Highly recommend this property. "Best Western Heritage Inn Chico"
Newly Remodeled Interior. New rooms interior, lobby, breakfast area, and workout room. Clean, very nice rooms, and the breakfast offerings are much better than some of the other ones we've seen. They have on-demand coffee, juice, hot water machines for drinks anytime of day. Overall, a very nice facility, and the staff is very efficient and personable. Highly recommend for business or leisure. The hotel was very clean and comfortable. The breakfast area was kept clean and the food items were kept full to allow for the flow of guests coming in/out. The staff was very helpful in providing places in the area we could visit and also provided directions. The room was very quiet and clean. The hotel looked like it was recently remodeled. Overall, we would definitely stay here again if we are in the area. It is close to restaurants and old-town Chico. Definitely a great value! The hotel value was excellent and the room was large. BW should continue to inspect and correct was is not working such as the bed, shades, and heating. Otherwise, service was excellent and staff are friendly and helpful. "Great Place to Stay in Chico"
My family and I stayed here Jan 19-21 for a funeral. We booked 3 rooms and the service at check-in could not have been better. The property may have been recently renovated. The rooms were extremely clean, spacious, and attractive. Modern furnishings, beautiful walk-in shower and a comfortable bed held true for all three rooms. The breakfast is the standard pre-fabbed bacon, eggs, and make-them-yourself waffles, but the breakfast area was clean and everything was available plentifully. The location of the hotel is easy access to main thorough fares, and near many dining choices, to include the proximity to a local mall. This is a great place to stay in Chico and I would stay here again, hopefully for more pleasant reasons. "Great on the road accomadations"
"Good place for the price"
Good place for the price, good location close the University, downtown, Bidwell Park & Mansion. All must things to see in Chico if you have the time. The hotel is just off Hwy. 99 easy to see, not a easy entrance, you'll see, be careful. Dear Douglas, Thank you for taking the time to review your recent stay at the Best Western Heritage Inn Chico. I am pleased to hear that you enjoyed your stay. The staff works hard to ensure every guest has a good stay every time. I am sorry that you have difficulty finding us. We are in the process of adding more lighting and additional signage, so hopefully the next time you are in town we won't be so hard to find. We look forward to seeing you again the next time you are in the Chico area. Warm Regards, Jenny K.
"A Convenient and Comfortable Inn"
We had not expected to be in Chico over New Year's Eve, but an emergency stop at a wonderful veterinarian hospital (Valley Oak Veterinary Center) nearby led us to the Heritage Inn. The attentive and cheerful staff, the large and well appointed room, the tasty breakfast with a variety of dishes, and the nearby shopping centers and Pour House Restaurant and Lounge created a better than expected stay over. This inn is very well appointed, has a good breakfast, nice rooms and is conveniently located near restaurants and tourism sites. It was quiet and comfortable. Highly recommended for a stay in Chico. We were there on a trip to treat our older grandson to a 25th birthday dinner and visit old friends. Very pleasant stay! Dear Grampy_Bob, Thank you so much for taking the time to review your recent stay at the Best Western Heritage Inn Chico. I am so happy to hear that you enjoyed your stay. We work hard to ensure that all guest have a great stay. I will be sure to pass you kind words along to the staff. We look forward to seeing you again the next time that you are in the Chico area. Happy Holidays!! Located freeway close. Very convenient for visiting our family. Have stayed at this motel in the past and will continue to do so. Staff was quite friendly and helpful. Breakfast is included with the room which is a plus in my book. 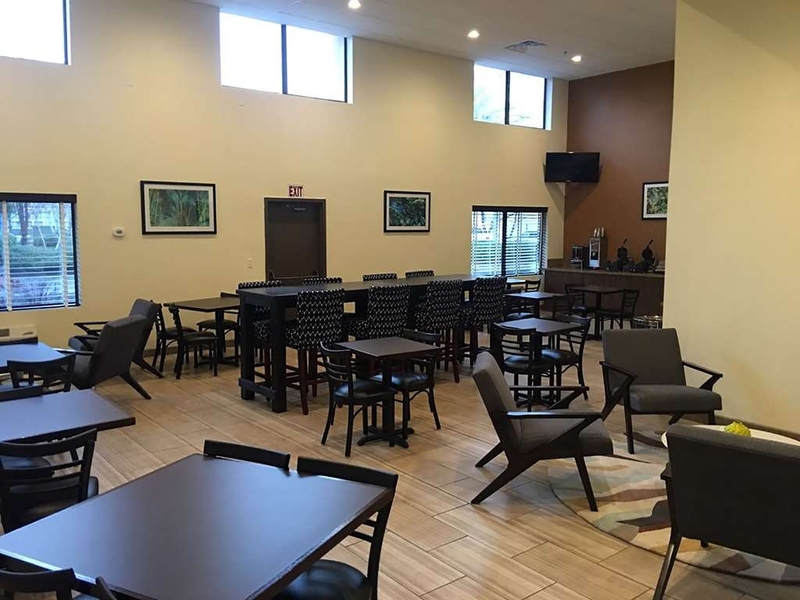 Remodeled lobby and breakfast room which has added to the appeal of this motel. We stayed at the Heritage Inn in Chico on Thanksgiving night, and we'd definitely stay there again. Someone said soft mattress, but our mattress was firm enough for my bad back. The room was nicely furnished and the bathroom was clean with a great shower. We enjoyed the hot breakfast that was included. Although it is tucked in a corner behind K-Mart, this BW is excellent. I've never had a bad stay here and stay here pretty regularly since my son attends Chico State. Breakfast is decent. Rooms are clean and nice. No qualms here. Great stay. While this hotel is next to the freeway, it was surprisingly quiet and recently remodeled. The breakfast was good (layout of the food and having to climb over other guests to get to it was problematic), but the rooms were clean and the beds comfortable. The area is less than appealing with some odd folks hanging around the parking area at night whom I did not believe were guests (homeless), but the parking area was well lit and overall a very comfortable location. Great place to stay. I always stay each year I come for a retreat. It's always clean and the staff is extremely helpful. When and if there is a concern, they correct right away to my satisfaction. Great price for the location. Staff was amazing. Room, not so much. Cramped bathroom layout, and the beds were NOISY! They are apparently wrapped in something that crinkles very loudly when you move. Very annoying. The beds are very hard, and the pillows are neck-breakers. Bring your own. "Low price, find another hotel if you can"
Having driven across the U.S. we found that many Best Westerns are great. This one is not. Mattress too soft for my back. Air system too noisy to leave on. TV useless. Otherwise, good value, clean. Chico is a great little town to visit and walk (in the Bidwell Park.) Next time we go will look for a BNB. Met for a girls High School Reunion. Had a blast with my friends. We really enjoyed being in a large room that we were able to visit in and not feel crowded. Having two king beds in the family room made it very comfortable for sleeping arrangements. Would definitely stay there again. 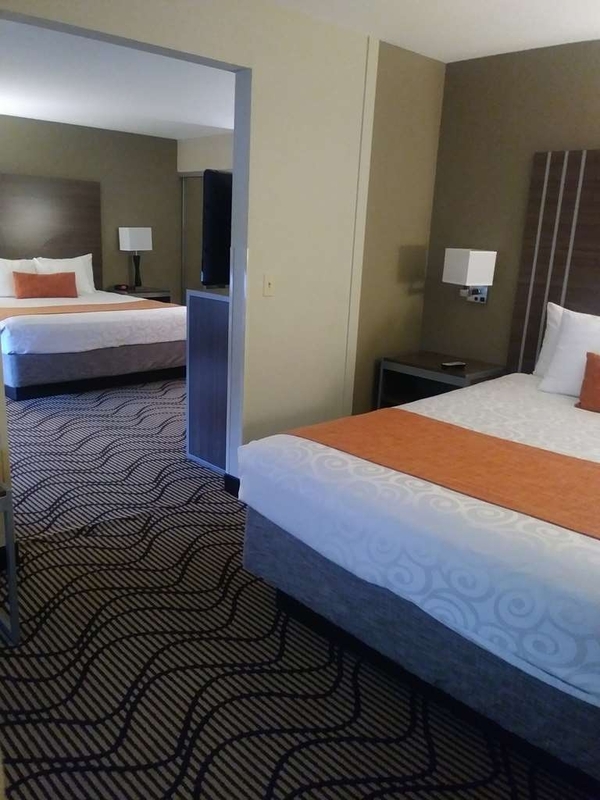 "Best Western Heritage Inn, Chico, CA is clean and comfortable." 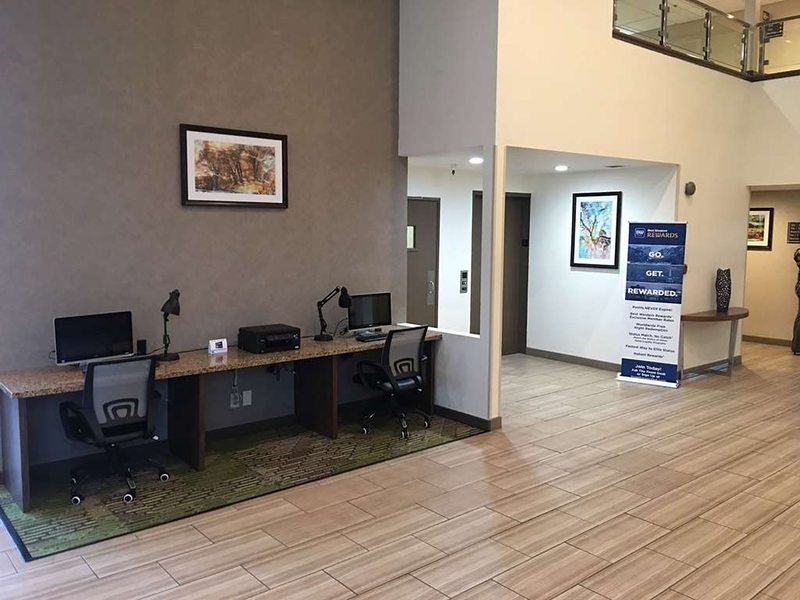 While the upgrading and work has been ongoing at the Best Western Heritage Inn in Chico, the transition has been worth the construction mode, as the hotel is all cleaned up with fresh paint, carpeting, new furniture and beds. The breakfast area is now larger than it was prior to the construction, and the breakfast food is varied and plentiful. Easy access from the freeway. Very clean and spacious room. All the staff was friendly and helpful. I would not hesitate to stay here again. The breakfast was good with a very good verity of foods to choose from. Good quality BW hotel. Friendly staff. Clean spacious rooms with comfortable beds. Breakfast could be better. Lobby being remodeled during my recent stay. Surprisingly quiet even being located by a busy boulevard. I recently was in Chico for b uisness and stay at the best western Heritage inn. The staff there was AMAZING. The breakfast was great and the rooms where stylish and comfortable. I give my stay a 5 star rating. The hotel was clean and updated with helpful, friendly staff. Although the interior was under construction, the lobby and guest areas were free from obstructions and noise. I would definitely recommend this hotel! "Best Western Heritage Inn, Chico"
Despite remodeling, the staff and amenities were very good. I was glad to see hospitalities extended to fire fighters during the fire storms including the Cherokee Fire. I will probably stay here again. Dear Varigaited, Thank you so much for your review of your recent stay here at the Best Western Heritage Inn Chico. Your business is very important to us and we value your feedback. By telling us what you liked about your stay and how we can improve, you are helping us deliver a superior experience for you and other guests in the future. We hope you will come back and see us again soon. We were on a 3 week pleasure driving trip from Southern Calif. to Gig Harbor, Washington and back home to visit friends. We were staying 1 night at a time. This hotel was very nice, friendly employees, comfortable beds, quiet for sleeping, and good breakfast to start the day. Everything was ready for anyone who would leave early for their early departure. The check in and out were very easy. The town is wonderful with many places to ear dinner or lunch. This is hotel is going through a remodel, the rooms are clean and the beds are new. Staff are very friendly and helpful. I never stayed at a Best Western before, but I may change that now. If you need to stay somewhere this is the place, shopping and restuarants a in close walking distance. There was major construction mess in the lobby and breakfast areas. No compensation was offered on room rates for having to deal with the mess. The rooms were nice but noisy because of construction. Outside area is not that pleasant to look at. Very disappointed in Best Western. Came to visit my daughter in college... everything was good. Service was satisfactory, the internet didn't work as well. Never able to log on, that was disappointing. Hotel lobby or food area was in renovations, but staff was very helpful. Nice room, friendly staff, centrally located. Great place to stay for business or for a getaway weekend. Front desk staff is courteous and friendly and helpful, a pleasure to stay with. A great value for your money. The staff and management go out of there way to make our stay pleasant. They are very friendly and helpful.. When asked, they will give you local places that have great food and entertainment that only locals know. They are rock stars in there industry..
"Sept 15th and 16th stay"
The breakfast was okay but the hotel is going thru renovations so it's kind of hard to judge. The problem we had was being woke up real early in the morning both days of our stay. The TV also had issues. with the picture that kept scrambling. For the price it was only average. We had a very nice say. We were visiting a friend who was in the hospital so we received a discount and the front desk receptionist was very polite and friendly with check in and check out. The room was very clean, nice and quiet. Since my travel and accommodations are scheduled through my company I never know what to expect when arriving at a new location. When I arrived here I was happy to see that it's location was convenient with many eateries and stored to shop at were within walking distance. It's exterior is well kept and nice, the lobby is being renovated so all of its features were not available to me however when walking into my room i was impressed to see one of the better if not the best room that I have had the opportunity to stay in since my accommodations are made with a reasonable price range this hotel far exceeded any of my expectations the linen was new, complimentary items were abundant the shower was impressive with a simple yet beautifulclear glass shower door the room was big and even included a wet bar with microwave and mini frig. The staff was extremely courteous professional and outgoing. My best so far! I recommend this place to anyone visiting Chico CA. Thank you Staff for doing such a great job! Dear A811BBantoniov, Thank you for completing your review your recent stay at our property. Your business is very important to us and we value your feedback. By telling us what you liked about your stay and how we can improve, you are helping us deliver a superior experience for you and other guests in the future. The remodel of our breakfast room is just about complete. We hope you will come back and see us again soon. Thank you again for taking the time to complete the survey. We appreciate your loyalty to our brand. The hotel is under renovations and the lobby and stairwells need it. It was great to see the hotel being used many firemen fighting local fires and evacuee's of the fire being housed there. It was a great location for family from different states to meet up in one spot. Dear 513marilee, Thank you for your review of your your recent stay at the Best Western Heritage Inn Chico. Your business is very important to us and we value your feedback. By telling us what you liked about your stay and how we can improve, you are helping us deliver a superior experience for you and other guests in the future. We hope you will come back and see us again soon. We are always happy to help Cal-fire and anyone who has to leave their home for any reason. Thank you again for taking the time to complete your review. We appreciate your loyalty to our brand. I really enjoy every stay I have at this hotel. I think they're the best place in Chico to stay (and I've stayed at many of the hotels there over the years). The rooms are nice, and there is not a better quality breakfast at any other hotel in the area. I highly recommend this place. We have stayed at the BW Heritage Inn in Chico several times in the past with no complaints but we called to schedule a two night stay during CSUC graduation in May 2018 and they tripled the going rate. I had called with plenty of notice and was told to call back in one month only to be given the inflated rate after calling a month later! Beware!! I can't support a business like this!! I would have to say this was the worst experience I have ever had at a hotel. My husband and I and our two kids stayed in a double queen room. The bed my husband and I stayed in was the most uncomfortable bed we have ever slept in. Felt like sleeping on plastic on the floor. Any time one of us moved in the room it would wake you up. (definitely, doesn't help that our son rolls a lot at night). My husband and I absolutely did not get any sleep!!!!! The hot tub, not even warm. Same temperature as the pool, cool. Disappointment after a long day or traveling and we wanted to spend the evening relaxing in a hot tub. We also got double charged! Another person by the SAME last name, but different first name, had made reservations for that night. Apparently, that person did no show up so they decided he was tied to us and charged my card for his room. They are planning on refunding my money. Said I would get it back in 24-72 hours. It has now been 4 days since I have called them and I still have got my refund back. Only good thing I can say about this place is that the employees are really nice and easy to work with and had a nice hot shower in the morning. Will never stay here again. Dear nippigator, Thank you for taking the time to review your recent stay at the Best Western Heritage Inn Chico. On behalf of myself and my entire team I would like to apologize for not exceeding your expectations. Your satisfaction is important to us and we will be using the feedback you gave us to implement improvements to ensure we offer a better experience for guests in the future. We are in the process of changing out the beds as a part of our remodel. We have also had the hot tub looked at and repaired. In regards to the overcharge the refund may take up to 48-72 business hours, you should see it soon. Thank you again for you review and I hope you will give us another try to show you superior service. Ive never stayed at a nicer Best Western. This place is newly remodeled and looks brand new. The room was very clean and new. Customer service was excellent. The only improvement I can think of is to replace the swinging lobby doors to a slider to make it easier for those of us who have our hands full with luggage. We stayed here on a business trip in August. Part of the hotel was under construction, so that was a bit of a negative (which probably will not impact future stays). The room was large and comfortable. The bed was comfy and everything was clean and working. The shower was attractive, but awkward - the only way to turn it on was to be standing in it so you have to experience an initial cold blast. I would stay here again. Dear Dennis, Thank you for taking the time to review your recent stay at the Best Western Heritage Inn Chico. On behalf of myself and my entire team, I am sorry that we did not exceed your expectations. Your feedback is important for us to improve our service to you and future guests. I am extremely sorry that breakfast did not get put out on time. Please know that is not our normal standard and I hope that you will give us another shot the next time you are in the Chico area so that we may show you our superior service. Thank you again for staying with us!!! Thie hotel is a good location when traveling on highway 99. It is clean and comfortable and has all of the amenities that you expect for a hotel of this class. They were remodeling the breakfast area so it was not as comfortable eating in the lobby, but when the new area is finished, it will probably be nicer. "Nice place to stay when in Chico"
A nice clean room. A/C was noisy. No shuttle service available. Shower stall design requires you be in stall to turn it on. You get that cold shot before water heats up. Bed was very comfortable. Internet connection was easy and fast enough for my needs. Breakfast was about what you expect from a hotel nowadays. Staff was nice. Positives: Friendly staff; Clean, comfortable room; everything in working condition etc. A normal Best Western, but nicer than a couple PLUS BW. Insulation a bit thin and it was a bit difficult to find... need better signs. "Best Western - Excellent Choice!" We stayed at the Best Western in Chico on the final leg of a week-long road trip through California & Oregon. The room was huge and the air conditioner worked great! The included breakfast was much more than we expected! "I plan on using this hotel in the future"
The staff was pleasant. The room was clean and the bed was comfortable. The location was centrally located with easy access to the freeway and the main roads leading to downtown Chico. Breakfast was typical of a hotel breakfast. "Bet Western is the Best Western motel/hotel"
Be sure to work with Best Western reservations and not fall for the trap of dealing with a remote travel agent. I pulled up the website on-line and knowing the address and appearance from a previous visit to the area, I called the number associated with that icon. Apparently I received a travel agent, BW reservation desk. Long story short it took 45 minutes to make two reservations and when we arrived one was under my "sur name, first name", the second under my "first name, sur name". so again check in took longer than it should have. Learned my lesson. For the price I found this hotel quite satisfying! Will definitely stay here again! The staff were friendly and helpful, the free breakfast was great and the room was clean and comfortable filled with all the essentials. I really liked the coffee station in the lobby, as well as the lemon ice water always available! "Great hotel. Just wish there was a bathtub!" Great hotel!! Great breakfast! Wish there was a bathtub in the room. Loved that there was a Kmart next door within walking distance. The pool area was a little small and next to the freeway. Wish it was around the back of the hotel. I spent the night in Chico for an early morning meeting the next day. The hotel is undergoing a much needed renovation on the inside. The rooms are nicely decorated. I did have to wait about 15 minutes along with 3 other guests when checking in around 6 pm.. No one was at the front desk and no one was answering the phone. The clerk seemed irritated that anyone was there. The location is just off the freeway, not the best area in Chico. Many other newer hotels in Chico to choose. Stayed one night prior to a Chico visit. Great hotel for the price. Close to everything, restaurants and shops and the Chico mall. Would definitely stay here again. Very clean and quiet and everything worked well. A little hiccup in the beginning with room. But was very happy with next room assigned. Very comfortable, great breakfast. Unfortunately the bathroom was for the handicap, and the shower heads very low. The best BW I have ever stayed in. New rooms and Appliances, phone chargers for all types of phones, car chargers for electric cars. 3 restaurants Truck and rv parking. Swimming pool, clean a very friendly staff. "A Little Disappointed this time"
Disappointed in the breakfast as items were not being monitored. Scrambled eggs not replenished as was the coffee. Had to mention to the desk clerk. Also, the TV reception was not the best...remote hard to operate and the volume was low. Had to contact the desk clerk due to the fact that the TV was not working. A new TV was brought to our room and the volume was low. Reported it to the desk clerk - not remedied. Next morning when we were checking out, the desk clerk mentioned that the volume was low due to the manufacturer. "If they still allow smoking you will smell a skunk in your room"
Dear bonniep232, Thank you for your review of your recent stay at the Best Western Heritage Inn Chico. On behalf of myself and my entire team I would like to apologize for not meeting your expectations. I am sorry to hear that your room had a smoking smell in it. We are 100% smoke free but sometimes people do not follow the rules. We do take every effort to ensure that we clean any room that may have been smoke in very thoroughly. I have spoken with housekeeping and we are making sure to correct the issue. As for the staff I have used your comments as a training tool for them and to make sure that they are more diligent in their rounds to ensure that the transients do not make their way onto property. Again I want to apologize and hope that you would give us another try the next time you are in the Chico area. "Best place to stay in Chico California"
This Best Western was very clean, the staff was friendly and helpful, the breakfast was absolutely wonderful, and check-in and check-out was quick and easy. It is close to the freeway but is very quiet and close to restaurants and shopping. Dear OregonIslandgirl, Thank you so much for your awesome review of your stay at the Best Western Heritage Inn Chico. We work very hard to make sure that every guest has an awesome stay, even though we are under going renovations I am glad to hear that it did not interfere with your stay. We look forward to seeing you the next time you are in the Chico area. Thank you again for choosing the Best Western Heritage Inn for your lodging needs. Knew that the hotel was being renovated so not quite sure what to expect. Had no trouble with construction noise. Very close to highway. Kudos for bathroom redo--no tub! Love that you don't have to climb over tub. During the spillway evacuation we were forced out of our home. Thankfully we were able to find a room. The employees were happy and helpful, the breakfast was nice...bacon,eggs,ceral,fresh fruit, ect. The room was clean and stocked well. Also, we took advantage of the pool area with Jacuzzi...how relaxing!!!!!!! "Hotel is Okay Nasty Dirty Area - Location"
I was greeted by a gentleman who asked me if he could help me! (I had luggage with me the only person in line. So I assumed it was obvious by the visible baggage) No "Welcome to the Heritage Inn" The hotel is going through an upgrade, apparently the rooms have been modernized already, but they smell of damp and mold. The beds are aged if they are not old they are cheap and nasty. TVs didn't want to work properly the Gym was closed. Breakfast area is next to the reception. I checked in late afternoon and there was food still stuck to the Breakfast counter. The A/C Heater in the room is so loud you are not going to sleep through that. That's if you can get away from the traffic outside Hotel is right on a busy road - freeway and off ramp take ear plugs. Surrounding area is awful. K-Mart is next door with Pan Handlers and Druggies hanging out shouting to passing cars. The entire shopping area is run down and dangerous.... My advice if you happen to end up here. Go to your room lock the door and stay there until you check out. New upgrades to appearance were great. Beds left a lot to be desired. They are still working on construction so it is noisy during the day but is fine after 6 p.m. Having the breakfast room in the lobby is a little off-putting - was much nicer when they had a separate room for the breakfasts. This hotel is currently undergoing renovations. I was greeted by the receptionist (Only person in line with) How can I help you!! Well I am no rocket scientist but I would of thought this was obvious with a suitcase by my side. Right on the freeway so very noisy from any room. There are local stores but run down and The Trader Joes has closed down (Go figure) If you visit K Mart next door beware there are pan handlers and druggies outside the front door. My suggestion would be even if this hotel was turned into a 5* Resort the location will never attract people who are more comfortable in a 3* PLUS hotel location. The Gym was closed the TVs were not working properly. Rooms smell of mold. If you end up here lock your door as soon as you get in and don't leave until check out. "Excellent except for Reservation Confirmation"
Hotel reservation through Booking.com couldn't be confirmed at the hotel the night before, and again at check-in. The problem was straightened out, but the hotel wanted to charge me a higher rate than was confirmed. That was straightened out, but a $2 tax was added to the bill. Otherwise, excellent stay. Don't let the outside apperence fool you, like it did me, at first! The room was amazing and provided the best comfort! I was very impressed with the inside of the hotel and rooms! The bed was comfy and the room was very clean. "Was expecting horrible - but it wasn't." I have to say based on previous reviews I was nervous walking in to this place. The only reason I booked here is because family members were also staying. With that said, our stay wasn't horrible. But yes they are remodeling and we had a newer room on the lower level. My family members did as well. Overall, the rooms were fine and we had no issues. The morning breakfast was little to be desired but I suspect it is because they are remodeling the breakfast area (currently it is served in the lobby and very small.) The hot tub was hot (that's a plus!) The only negative I would say is that the hallway on the bottom level smelled like cigarette smoke – BAD! Of course the rooms were non-smoking so I'm not sure if it was floating off another floor but it was pretty strong. However, you couldn't smell it in our hotel room so I was happy about that. Oh… and you are within walking distance of a Dutch Bros. coffee… MAJOR PLUS!!! This hotel was just fine. I think it will be great once they finish the renovations. Nate was fantastic upon check in, he helped my son get hot water for his tea, was very helpful when my printed coupon card from my email was missing some info, we felt very welcomed! The rooms are clean, neat, and tidy. The breakfast had bacon, which was yummy. The breakfast potatoes were too strong of spice. It wasn't an extensive breakfast but perhaps a temporary location during renovations? The WiFi password in the welcome book didn't work. All in all we would stay here again. Dear makjms, Thank you for your review of your recent stay at the Best Western Heritage Inn Chico. I am very pleased to hear that Nate went above and beyond for you and your son during your stay here. We work really hard to ensure that every guest has an enjoyable stay. I am also happy to hear that you enjoyed our breakfast. Yes it is limited due to the construction, but once complete we will have a nice new space and more selection. I hope to see you again the next time you are in the Chico area. Thanks Again!!! Stayed here for Christmas holidays to visit. Surprised to see how run down this place is. It offered breakfast but we passed on this as it smelled bad in the dinning room. Decided to eat out. Also surprised to find out that they have no exercise room. They will give you a voucher for a really nice place across town. Lucky I know the town and was able to get there in about 15 minutes...feel sorry for those who don't know the town. Dear Brian, Thank you for your recent review of the Best Western Heritage Inn Chico. On behalf of the entire team we are sorry we did not meet your expectations. With our remodel we are getting a brand new breakfast room as well as a fitness room. We are anticipating completion end of April. I really hope you will give us another try the next time you are in the Chico area to show you the superior service we strive to provide. Thank you again for staying with us. This hotel was terrible! Location to downtown was great. We pulled up at dusk and the place looked pretty clean on the outside. The lobby was OK. When we had moved into the room it all fell apart. It had been a smokers room at some point and they have tried to cover up the smell with some kind of 'air freshener' that eventually almost made our eyes water. The carpet was filthy and we decided to not remove our socks. The bed spread had a very questionable feeling to it so it was removed before sleep. The bathroom had only been given a quick swipe with a mop (maybe) and was also filthy (just imagine the worst). Total Yuck! We had driven a very long day and my wife had a miserable cold and we just didn't have the energy or where with all to pack up and move on. Under normal circumstances we would have turned around and been outa there as soon as we walked in the door. Don't stay here! "MORE LIKE A MOTEL 6 WHEN THEY WERE $6.00"
Average hotel that is overpriced (should be about $75. a night). The desk clock was 55 minutes off, SHOULDN'T THE MAIDS MAKE SURE IT IS CORRECT? The shower drain was clogged so you stood in ankle deep water, bathroom amenities (soap, shampoo etc.) were very cheap and reminded me of Motel 6 when they were $6.00. Funky little coffee pot in the room. The breakfast included was a joke, small breakfast room, very meager food choices and powdered eggs. For the price charged they really need to upgrade what is offered. I'd find somewhere else to stay. One more thing. A family friend staying in another room said the hotel manger walked into their room unannounced at 3 PM while they were taking a nap! "Tapping" sound in the wall between rooms during the night. Comfortable bed, quite air conditioner, clean shower, plenty of hot water/decent towels, adequate TV viewing options, Quiet Breakfast....Dining room was small/crowded. Scrambled eggs, bacon, waffles, cereal, bagels, coffee/juice, etc. Felt accommodations were "slightly" over-priced but being that we were on only one night of business, it was "bearable". Chunks of chewed up strawberries on the carpet and under beds upon arrival, yuck. Also found some food or ? in extra drain spout in sink, house keeping would probably have had a hard time seeing up, but I am short, so saw it. My only place to stay when in Chico. Easy to find. Road noises are not a problem - Tucked away from a lot of extra traffic. Very comfortable. Breakfast staff are extremely efficient. Help is available quickly for whatever need. Amenities are very well attended to. Dear Harriett C, We are so very happy to hear that we exceeded your expectations on your recent stay with us. We are delighted to hear that we have earned your loyalty when you stay in Chico. We are always pleased to hear that our guests feel they get a quality experience at our hotel. Thank you again for your great review and thank you for choosing to stay at the Best Western Heritage Inn. We look forward to serving you with another great stay the next time you are in Chico. "Comfortable but missing a few things to be desired"
We were on the 3rd floor, for both nights we were there the ice maker is broke, the pop machine empty, the elevator out of order and hotel needs some obvious updates, corridors are dark, carpet dirty in areas. On that note, the bed was comfortable, friendly staff, clean room. I stay at BW hotels regularly for work. So I'll list the good and the bad. Good: -Seems as though they are slowly remodeling. Their were workers on the third floor making replacements, and also saw new air conditioners being installed on the first floor. -Decent rooms. Beds were ok. Microwave. Fridge. Decent television selection. Updated lamps. Bathrooms was clean and free of hair(s). -Comfortable beds, pillows and sheets. -Internet worked just fine. Bad: -Elevator creeped me out! It was loud and seemed old, so I used the stairs. I was on the third floor, no big deal! -Hallways are not welcoming. If you've seen "The Grudge" you will understand what I mean. There is an unpleasant mildew smell along with it as well. -Old Air conditioning unit. There is also a gross sock, fork, and a few other things hiding behind their old AC unit. There is also hardly any control to regulating temperature. It's probably 10-15 years old. -No AC in the hallways. You will sweat just getting to your room! -Staff was not welcoming, The guy at check-in had no personality. I know the hiring process can be difficult, and maybe he has good qualities that I missed out on. But interesting hire. The location is decent, with it being right off the highway. I didn't get any loud noises at any time of the day. It was suitable for work. Location might be sketchy. Yes, It is located next to K-Mart. But the Grocery Outlet is actually very nice inside. There is a Trader Joes within a close distance, and lots of good food choices within close distance as well. At $80-90 a night, I think you get what you pay for. If you want something a little more upscale, then book that room. With needed upgrades this hotel will get to where it needs to be. I've stayed here since before it was a Best Western property (20 yrs) and it really deteriorated and I stopped coming. BW has refurbished the rooms, upgraded the breakfast offerings and keeps the place clean and well maintained. Centrally located. Staff friendly and helpful. Facility is competitive with other chain hotels once again and I've stayed in them all having family in the area. BW Chico it's a good choice for a easy on, easy off lodging in Chico. We were just passing as found this hotel. It's clean, large rooms and great staff. Very comfortable beds. A bit dated, but a good, reasonable choice. I would recommend this hotel. I have stayed at this hotel multiple times over the years. I always have a pleasant stay. The hotel is clean, quiet, comfortable. There is plenty of parking, the internet works great, great water pressure in the hot shower. The staff is very friendly and helpful. It is next to the freeway but the rooms are quiet. The big rooms have a frig and microwave. I have never tried the breakfast. I always sleep great! I detailed this bad experience already in this survey: Dirty Room, bad odors bathroom fixtures outdated and not working internet so slow that it "crawled" safety = fire detectors that blinked and buzzed, but didn't work phone that did not connect to front desk for complaints or any reason, I had to use my cellphone to get any help. ...... and the list goes on and on! The hotel was very clean and quiet. Next to the freeway but could not hear any noise. The bed was very comfortable and the room was very large. The staff was very pleasant with very little wait. Breakfast area had plenty of seating and the staff kept up with the pace of the guests. A nice place to stay in Chico. Location was centrally located and easy to access the highway. Although an older hotel the rooms and decor were nice. No issues experienced and the desk staff were very helpful. Breakfast set-up was somewhat awkward and I think they must've had to change the location from where it was normally served. Thank you for your clearly outlined response. It is a pleasure to read specifications about what you liked and what it is that you felt was great about your stay. Excellence is our top priority...excellent rooms, excellent service, excellent rate, and even an excellent choice in your breakfast items. If there is ever anything you need or want, we strive to make it happen. Never hesitate to ask for something specific that you need or want, because we will do our best to get it for you. Again, we thank you. We hope to see you again. In regards to your commentary about our extremely friendly and helpful hotel staff, thank you. We are very lucky to have such a passionate team at our hotel. I truly believe that the smiles that you see are a true reflection of the pride that each of our team members, from front desk to housekeeping, take in their jobs, and the enjoyment that they get from working as a hotel team. We truly are very blessed in this regard. We appreciated having you as our guest and are so very sorry for the experience that you have described. Our front desk manager immediately refunded your points. If you would like to discuss your stay further, please do not hesitate to contact our hotel directly and ask to speak with me. Thank you, again, for staying with us. I stayed one night, August 3, 2016, and woke up to find my windshield had been smashed and my radar detector stolen. Management took 4 hours to clean up the glass shards after I notified them of the incident. The manager said they took no responsibility for their parking lot and wouldn't even comp me for the night. The hallway stunk of stale cigarette smoke. Thank you for taking the time to review our hotel. We understand just how valuable your time is and appreciate your feedback. We are deeply apologetic of what you have experienced during your stay with us. It is recommended that all items that are visible in your car be removed to prevent this type of circumstance from occurring at another location, whether it be at another hotel, or even in a shopping center. It is unfortunate, but we must be extra cautious in protecting our items and ourselves. We hope something as this never happens to you, or any of our guests, again. "we have stayed at cleaner best westerns"
It is so disheartening to hear you describe the carpets in your room and throughout the hotel, and hope that this was not too much of an imposition for you when you had so much weighing on your mind. We are actually going to be remodeling the entire area so hopefully this will alleviate the problem and when you return, you will notice the upgrade and difference! May health and happiness be with you and your sister, and may you find our hotel to be one of the cleaner places you have stayed in the next time you are here. "staying at hotel was best part of trip!" Excellent care at check-in. Received discount because my daughter was attending Chico state. If you include the price of a free breakfast for a party of five my stay was half what I would pay elsewhere with no breakfast. Would definitely stay there again. Didn't check out the pool. Despite it being near a freeway I did not have any noise from it.Very quiet rooms. AC worked good. Beds very comfortable, always a pleasure to stay at any Best Western. Thank you for one of the best reviews ever! We are thrilled to know that you choose Best Western as your destination hotel, and we love that you had the opportunity to stay with us here in Chico. Thank you for specifically stating what we offer and why you consider us the best part of your trip ... excellent staff, quiet rooms, and comfortable beds! Our guests, such as yourself, are truly the best, and we do what we can to offer the best room ... and above all ... the best rate! We cannot wait to see you again! All the best to you! I have frequently stayed at this hotel for work. The rooms are always very clean and nice, comfortable beds, a decent breakfast and incredibly friendly and helpful staff that. I will definitely be returning here any time I come to Chico. Thank you so much for your response. It is such a pleasure to know that each time you stay with us, you feel as if you are right at home. Our staff, from front desk to housekeeping to maintenance to management, love their job ... and it shows! Thank you for taking the time to write this review and we are even more thankful that you continue to choose to stay with us. We very much look forward to your next arrival! Right off the freeway. Room was perfect. Could not hear any outdoor traffic. Amenities were wonderful. Staff friendly. Just an over night business trip, and the bed and room made it feel so relaxing and comfortable. Thank you for taking the time to write this review. Thank you, especially, for commenting on the comfort of our beds. It seems you indulged in a restful sleep due to that comfort, which I love knowing happened for you. I, too, appreciate how we are so conveniently located right off the freeway. We are so glad you stayed with us, and we hope you have the chance to stay with us again on your next business trip! I'd stayed at a more expensive hotel in the Chico in the past, but booked this Best Western on the basis of good reviews. The most notable thing I first noticed was the cleanliness of the room. It smelled fresh, the beds were beautifully made, and everything was spotless. The large t.v. was a plus, as was the microwave and refrigerator. All, for under $100 for a double. I can't think of a single negative thing to say about our stay. And the breakfast was just fine. The family intends using this business again. We shop for convenience and thrift. Family members enjoyed the pool and security provided. Industry competition is besting this motel's breakfast selections and space. We appreciated housekeeping efforts in making us comfortable and welcomed. The front desk went out of their way to accommodate the family. I like the location because it's within walking distance of many stores, restaurants etc... However, the interior of the hotel had a bit of a stale look and smell throughout. Definitely time to freshen it up. Poor quality of rooms and overall facility. Rooms are average but when you are costlier than others, you should excel and be above average! Rooms that don't cool down, faucets that a herculean effort to start are just a few of the issues with the amenities! And then the smell of cigarette smoke in the hallways was very unpleasant! On behalf of our entire team, I would like to apologize for not exceeding your expectations. We are working hard to make sure that each and every customer likes our rooms and the amenities that come with our rooms. We our in the process of remodeling our bathrooms which includes getting rid of the existing fixtures. We are also replacing all of the carpet. This will also help us in changing out our smoking rooms to non-smoking rooms. I hope in the future you give us a chance to make it up to you and show our rooms are comparable, if not better than the hotels around us. If you have any questions or concerns, please feel free to contact me at (530) 894-8600. Way over priced for product presented. Does not offer premium TV channel..breakfast is equal to low end motel offering. 140.00 per per night weekend. Shop around Chico..better quality elsewhere. Oxford Suites is worth the price with much more to offer. Best Western is a rip off. On behalf of our entire team, I would like to apologize for not exceeding your expectations. Your satisfaction is important to us and we will be using the feedback you gave us to implement improvements to ensure we offer a better experience for guests in the future. We are currently upgrading our rooms, have recently added new hot items to breakfast (scrambled eggs, bacon, biscuits and gravy), and are looking to upgrade our television services. I hope you give us another chance because I think you will find us comparable to our competition. If I can provide you with any assistance, please feel free to give me a call at (530) 894-8600. The hotel room itself was well decorated and comfortable. There were two youth sports teams staying at the hotel which made it miserable for everyone besides them. Screaming, yelling, running in the halls until 1:00 a.m. The staff asked them one time to quiet down. Obviously didn't work. I spent over $600 on three rooms for my family and was sorely disappointed with our sleepless nights. Staff are always attentive...clean, beds are soooo comfortable. Many pillows to snuggle with, as well. Several breakfast choices available. Easy off and on freeway. Close to every major thing you may need, including the movie house. Just love Chico...nice pool area. I would like to thank you for your feedback. It is very valuable to us so we can continue to improve our customer care. We value our customers and hope you continue to think of us if you ever come back to Chico. "Non-smoking room with smoky hallway"
If you really need a nearly smoke-free environment, the first floor of this property is not the place for you. Smoking rooms adjacent to non-smoking rooms, with large gaps at the bottom and side of door allowed smoke to filter into the room all night. Don't know the configuration on other floors. I made a reservation over 2 months in advance because we have a dog. When we got there I was told our reservation did not include a dog. The employee acted as if I was lying and when I showed him that I did have this type of reservation he said that all the rooms that allowed dogs were gone. He had no alternative nor never even apologized until I told him so - and then it was not exactly sincere. It was so frustrating because he acted as though it was my fault! Because of TV remote not available even if the staff tried to get a replacement but failed to work, water faucet need repair, and the morning breakfast just a total disaster and for a $150.00 I cannot give this anything but a poor review. First things was it wasn't easy getting to the Hotel you had to go through Kmart parking lot. Check-in was easy the staff was friendly. The smell of cigarettes overwhelms you when you first walk in. Good thing the AC was on in our room so we couldn't smell the cigarette smell that was in the hallway. They really need to deal with that. We had to keep the AC the whole time or else we could smell the smoke in our room. Room and bathroom was very clean. Bed and pillows comfy, stayed two nights and had no big issues. Pool wasn't heated but they did have a big 12 foot hot tub so that was nice. Kids didn't mind playing in a cold pool. Font desk did offer us a pass to a local gym that had a indoor pool. That was very nice of them. Continental breakfast, was just what I expected and just what we needed. Had plenty to choose from. Lots of great restaurants and shops near by the hotel so that makes it nice. We had a great stay l. Besides the cigarette smoke not much to complain about. We stayed at the Best Western while visiting our girls because it's close the Chico State. The location is great, the room clean, the staff was nice. Nothing noteworthy. We had a room with a king bed, it was the most uncomfortable bed we've ever slept on. Really hard like you're sleeping on a board. I still have a stiff neck two days later. I don't think we'll be staying here again. Nice hotel and friendly staff. rooms were clean. The pillows were to hard to use. Just off the freeway. I wish I could see the sign better. neighborhood seems good. with average restaurants close by. Price was perfect for what we are doing. one night dinner, back on the road. The only drawback to this hotel is that it's a little tricky to get into depending on which way you're driving on Cohasset. I ended up driving behind KMart the first time I came in! Not the best view...... Other than that it was a great place to spend the night. Check in was fast and easy. I had requested a handicapped room thinking this would assure us a ground floor room. The only one they had was smoking and I'd rather climb 3 flights of stairs than stay in a smoking room. They quickly fixed that problem giving us a regular room non smoking on the ground floor. Parking was close to the front door. There are elevators. The room was very clean including the bathroom. It was equipped with a large soaker tub which would have presented difficulties for anyone with physical problems. There was a microwave, mini fridge, ironing board and iron, hair dryer and coffee maker. The only thing I missed was a magnifying mirror. I didn't notice any extra blankets or pillows but the bed was comfy and well appointed without the nasty bedspreads many places still sport. The free breakfast was typical of most hotels that provide this service....very adequate unless you require eggs, bacon, or pancakes. They did have a waffle maker, yogurt, dry cereal, Danish, juices, toast, bagels, and of course coffee, tea and hot chocolate packets. Since we will be going to Chico on a monthly basis, we will be staying here again. The hotel is dated and has a musty old smell when you walk in. The bathroom wasn't clean and their was hair on the floor in the bathroom. The overall appearance is dated. Ive stayed at a lot of Best Western Suites in the last few years and this one was definitely the worst. A lot of homeless people in the area as well. Hard to get to when you get off the freeway. "WORST BW I've ever stayed at… Suggest the Motel 6 Across the freeway!!" I should have paid more attention to the TripAdvisor reviews… your fellow travelers are telling the truth, but our experience was probably worse than others. This place is terrible. First off, we booked the room directly over the phone and trip advisor had it for $10 less. I couldn't really hear the reservation agent, and thought she said $88 but she said $98. This is WAY TOO MUCH TO PAY FOR THIS PLACE. I can't say enough bad things about this place. It really is that bad. Here is a list: 1. Staff is somewhat surly and arrogant. No smiles, no welcome. Clearly unmotivated and not happy to be at work, which reflects the management. Can't blame them… the lobby smells of mildew, the lighting is dungeon like… very unpleasant place to work. 2. The rooms are dingy, dark, and we stayed in a pet room and paid a $30 premium, ostensibly because "they do a deep cleaning whenever a pet stays". That's a lie, I spoke to housekeeping and they don't do anything different. The result is that the room stinks of big wet dog, and I find it offensive to pay extra for a room that smells. 3. The mattresses are TERRIBLE. When you sit, lie, or move, they make a terrible crunching grinding noise. I'm not kidding, its really really loud because the mattresses in the place are shot. The front desk says they are in the process of rotating out mattresses. To hell with that - I want a mattress that doesn't wake me up if I change positions. 4. That really doesn't matter, since they park pet owners across from the huge Coke machine and ice maker that cycle on and off all night. The half-inch gap under the door ensures that you'll hear this ALL NIGHT LONG. Forget about getting any sleep. If you are interested, the Icemaker has 42 minute cycles, a 5 minute discharge cycle and the coke machine compressor comes on every 30 minutes. What else do you do at night besides look at the alarm listening to this racket and hoping for karmic retribution to the owners of the hotel who do this to their customers? 5. Oh yes, then there is the freeway. Its the 99, and it is LOUD! You'd expect a large cinder block cement wall to cut down on the sound, right? Why do that when a broken down wood fence and chain link fence is cheaper? Who cares if you sleep at night? Chico is a party town, why do you want to sleep? 6. They have a pool! It backs up next to the freeway and I can't imagine a less pleasant place to spend any time beside trying to sleep in the room. 7. Breakfast is standard BW fare… except in the ultimate proof of how CHEAP these owners are, the LOCK THE DOOR IMMEDIATELY AT 9AM. I asked why that is, and I was told by an obviously unmotivated staffer that they do not want to feed any guests if they don't have to. I asked for refund for the night, before realizing I had paid more than I had expected due to the phone issue, and when I tried to argue that I should have paid less, the front desk manager basically stonewalled me. Far more alarming is that the Customer Service department at BW did the same, which has SERIOUSLY reduced my enthusiasm for this company. I really only ask for three things in a hotel: 1. It is clean. 2. It is relatively quiet. 3. I get a reasonably good night sleep. That's really all I want. I don't need french milled soaps and massaging shower heads. I just want these three things. This placed delivered NONE OF THESE THREE. There is a MOTEL 6 across the freeway. Given the condition of this place, it will be no worse than here, and it will be half the price. I will NEVER stay at this place again, and BW Corporate has a SERIOUS PROBLEM on their hands with these owners… they have damaged the brand in my eyes, and neither entity seems to care. Pity. "Stopping by for one night"
I have stayed here several times over the last few months, for the most part I haven't had any issues. Last week when I stayed here I asked to have a room that was not so far down the hall. The previous week I was put on the third floor, next to the ice machine (which is very loud), at the far end of the hall. I had to walk past several open occupied rooms to get to my room, which made me very uncomfortable since I was traveling alone. Mid evening one night someone tried to open my door, which only added to my uncomfortable experience. I asked last week to stay in a different room that I would feel safer in, closer to the entrance. They were not fully booked as I could still book other rooms with a bed choice. The man on the phone said that would be unlikely, no real explanation given. I was given the room next to the one I stayed in the previous week. I followed up with Best Western customer service, mainly because I felt like my request was just brushed off. I was basically told that because I booked through Priceline that I could only have a certain room, which I find silly because if a business has the ability to provide accommodations to make a patron more comfortable I think they should do their best to make this happen. Customer service maybe? Anyways, I just found the whole experience irritating. I would have given this hotel a much better rating but because of the poor customer service I don't think this hotel is worth staying at. "Not the Best of the Best Westerns"
I have stayed in a lot of Best Westerns and this location is due for a remodel. Maybe it was just my room but it was not the really nice, clean room I have come to expect from this chain. First the good stuff, Great bed & pillows, soft thick bath towels really nice.Big flat screen TV with lots of plug in spots for charging & two count them two desk tops to work at in the big room. Hotel is at a good location to walk to good food and shopping for almost anything you need to buy. However, My room smelled of musty smoke. So bad it was that my clothes smelled that way the next day after leaving. The clock radio was broke. The carpet in the room was dirty so was the outside hallway. The bed skirt on one of beds was dirty and worn out with frays & holes. The night stand draw was broken and did not slide in all the way to close. One of the light bulbs on the head board wall mount units was shorting out. I played with it and got it work but not a good feeling to play electrician. The electrical plugs on these wall mount lamps were loose when you plugged in your device. The same loose plug in feeling was occurring on the table top electrical plugs too. It was so loose I don't know how it charged my phone up but it did work. This can cause a short in the device. I was worried but they were sold out so no chance of changing rooms. Room has a microwave and small refrigerator but the fridge has no freezer unit. I had to leave my blue ice packet at the front desk but they were happy to refreeze it for me over night. All the staff I contacted were nice. On top of all this was the solo elevator. The door slammed shut with a loud noise, had no or poor ventilation, was warn on a cool day and smelled less than pleasant. I'm thinking it is time for a remodel or sell it to Motel Six. Sorry but these are real observations that bugged me so much I made notes for this review. Overall it was a nice experience. Would have like a hot breakfast. no eggs or sausage but breakfast had the rest of the fixins. Didn't see a gym room but didn't ask for one either. Clean and comfortable. My daughter goes to the university in chico and we always stay at this Best western. The rooms are very clean, affordable and close enough to other amenities. the continental breakfast is good and has a good selection if you get there early of course. This property has large rooms with fridge and microwave. I slept well here and had plenty of space, although the furniture could use an update. The breakfast is very basic. There is a nice shopping center and movie theater nearby. "I liked that this place was central to Chico, and that it was tucked back away from the busy streets." This was my second multi-day stay at this motel in the past year and both times I have had problems connecting with the Internet in my room. I told the front desk and they replied they would contact the service provider, which was no help to me as my stay was for two days. The poor Internet service might effect my decision to stay there in the future. Otherwise, was a nice motel. Our dogs love this motel; we stay near one end, close to exit door; there is plenty of grassy area. Now if I could train my owner to bring "treats" from the breakfast room -but they eat every thing, must be too tasty to not finish. Excellent facility, wonderful rooms and a delightful and helpful staff. I have stayed at this property for years and each time I get the very best service and value. The rooms are lovely, clean and I cannot say enough positive about this property. I would like to mention though, this part of the survey is too long as it is hard to type over 200 characters. Again, great stay, staff, breakfast the prior times I enjoyed and everything could not of been better. Friendly staff, clean and comfortable rooms, a pleasing experience! We arrived early and were able to check in with no problem. It is located right off Hwy 99 and only a few minutes to Hwy 5. Forgot my phone charger and after two days was able to have them find it and get it back to me. Great service! "Well above your average stay"
Very clean, safe, quiet and surprisingly well-appointed. Very responsive front desk personnel. Nice up-grade touches including thick, soft towels! Breakfast was more than adequate, several steps above 'grab and go'. Excellent location for access to downtown, the university, the hospital, shopping malls, etc. The hotel was good for it's purpose and the front desk staff was perfect. Breakfast on the other hand was disappointing and I have stayed at properties with less space, fewer rooms and only the front desk staff to serve that had a better breakfast. If they fixed that downfall, I would recomend to family and friends. We find this hotel is consistently clean and comfortable. Breakfast is adequate but could be better. The location is perfect when we visit our mother at Oakmont. I would consider this over and over again. They do offer a discount for family visiting loved ones at Oakmont, but I just wish it was a little more as $99 gets expensive when you are staying several times a year and for 3 nights each time. I will strongly consider staying at this hotel in any future travel to the Chico, CA area. It is convenient and close to where my oldest son lives. The room was nice and served the purpose. There were only three complaints, which I could not expand on in this survey. 1) the jacuzzi tub didn't work; 2) the toilet ran on after flushing and required me to "jiggle" the handle to get it to stop; the clock radio had preset channels which all sucked. I would not recommend this best western to anyone. It has it's pluses but the rude desk clerks negate any positive attributes this place has. I have read the reviews & I see I am not the only one with this point of view. One of the rude men is the manager so complaints go no where. I have had jewelry stolen, expensive nightgown ended up in their laundry & head housekeeper refused to help. I was so mad (again) that I went & retrieved it myself by digging through their dirty laundry. I have many many complaints but the bottom line is this place is poorly run. it seems who ev er is the higher up has forgotten about managing this facility. "Nice place to spend the night"
We stayed the night here because I wanted to take the brewery tour at Sierra Nevada Brewing Co. The hotel is a little hard to find as it was behind the stores in a shopping center. A little tricky if you're not familiar with the area. The motel is in need of a little sprucing up, but overall it was clean and comfortable. We rode a motorcycle and I usually like to get a room with a view of the bike. They couldn't make that happen which was disappointing. The surrounding area looked a little run down and I was concerned about leaving my bike outside and not being able to see it. The rooms were clean and the bed was comfortable. We had a nice size room with a microwave, refrig and extra bar sink. Breakfast was good and there were several choices of hot and cold plates. I would definitely stay here again as it was close by to my tour. Nice comfortable room. Older hotel. Needs a remodel. Beds were very comfortable. It was a perfect getaway for us. Easy to get around and into the hotel area. Great location, next to convenient shopping center. We traveled with a group of 50 teenagers on a college trip. The Best Western was great to work with, provided clean and comfortable rooms for all of us. Not only were the staff members pleasant, but also very helpful. The hotel is within walking distances to several dining establishments and a Starbucks. This will be my go-to hotel whenever I am in the area again. The room was very clean and convenient locations. I've stayed at quite a few Best WEsterns and was impressed with this location and specifically my room. I would stay here again and would recommend to friends. The Heritage Inn is adjacent to 99N and has excellent access. We stayed a night for the Chico Almond races sponsored by the Chico Running Club for over forty years. The staff is friendly and helpful, the rooms are clean and reasonably sized. I would have rated it higher except inadequate WiFi - over a minute to load a web page. It also has some of the craziest faucets we have ever encountered. Nothing seems to work the way it should, but eventually you do get water! This review is late, but better late then never. This hotel was great. I could have paid twice as much and been ok for the quality I recieved. The room I had was spacious, the bed was comfortable, pillows were great. Staff was very kind. Convenient location, close to major department stores, gas stations, and restaurants. My daughter loved having a table and chairs in the room to color on and eat dinner. We have stayed at the Heritage Inn in Chico, California while visiting our daughter. Very clean and comfortable place to stay. I would highly recommend this Inn, close to shopping and main street in Chico. "Very good and clean hotel. Very clean and good cost." This hotel is very clean. I have been staying more and more at the Best Western's because of BW's like this. This was extremely clean, comfortable beds, pillows, and very helpful and friendly. Very clean as well. The location was a little tricky to figure out how to access coming from the west side of the street, but this also allowed for a low noise, low traffic weekend. The staff was friendly and the hotel clean. It is located close to shopping and restaurants and next to the freeway which makes it easy to access all of Chico. The first pet room I stayed in wasn't that great. This time I got room 130 and it was a lot nicer than the last room. Maids were a lot quieter than last time too. The pet room are right by where the maids start their work. I believe this is a good hotel for a business stay.. The rooms were good, the hot tub was good. The staff was professional and attentive... The location of the hotel was conducive to where I needed to attend business meetings.